Amasa made several trips across the plains. 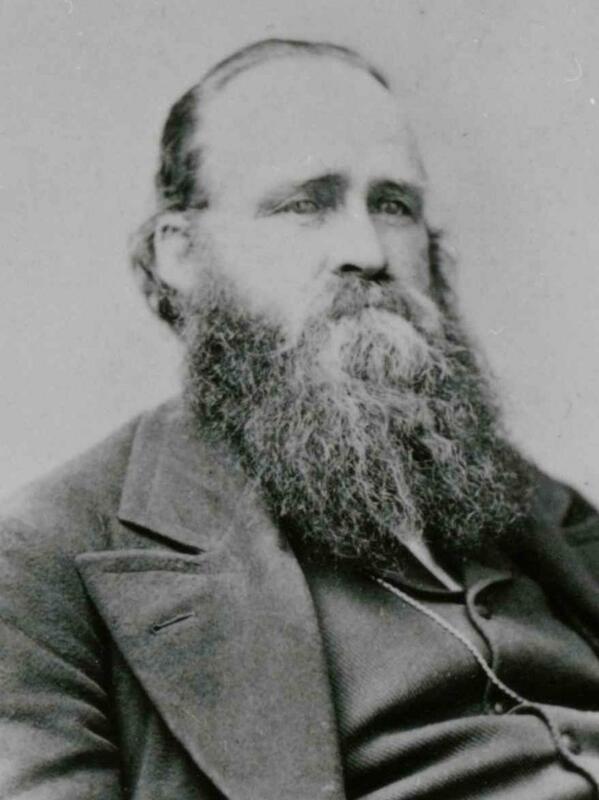 He traveled to the Valley for the first time with the 1847 Brigham Young Company and was part of the 2nd Company of Ten led by Ezra Taft Benson. He left the company on 3 June at Fort Laramie to take a message to the Mormon Battalion sick detachments and Mississippi Saints at Pueblo, Colorado. The following year, he was a Captain of a Hundred in the 2nd company in Willard Richards 1848 Company. He and a few members of his 100 arrived in Salt Lake City on 10 October. Amasa captained his own company in 1850 and returned again to bring back a wife and son in 1852. He captained and co-captained two more companies, one in 1855 and the other in 1857. After serving a mission in England, Amasa returned to the Valley in 1862. Further research is needed to identify the company he traveled with this time. Finally, it is possible he crossed the plains again in 1866 with the Daniel Thompson company. His name appears on company records, but it is unclear if the notation indicates that he was actually present, or if the company was simply carrying freight that was to be delivered to him. Allred, Reddin Alexander, Journal 1855 Mar.-1863 Mar. "Arrivals," Deseret News [Weekly], 5 Dec. 1855, 309. "Brief Dialogues," Deseret News, 25 December 1852, . Brown, John, Reminiscences and journals, 1843-1896, volume 1, 109-13. Cain, Joseph, to Willard Richards, 2 October 1850, in Deseret News, 5 October 1850, 135. “Captain Daniel Thompson, memorandum book 1, 1866.” In Perpetual Emigrating Fund Company church trains accounts 1861-1868, Captains’ accounts 1862-1868. Crosby, Caroline Barnes, Memoirs and diary 1851-1882, fd. 2, 7-24. Crosby, Jonathan, Papers, in Caroline Barnes Crosby, Memoirs and diary 1851-1882, reel 1, item 1, 27-29. Curtis, Joseph, "History of Joseph Curtis, 1818-1883," 6-9. Curtis, Joseph, Reminiscences and diary, 1839 Oct-1881 Mar., 72-75. Deseret News , 10 June 1857, 109. Duncan, Chapman, Reminiscences 1852-1874, 11-11A, 23-25. Egbert, Seviah Cunningham, Biographical sketch [ca. 1913], 2. "Epistle From Salt Lake City," Frontier Guardian, no. 1 (7 Feb. 1849). "General Items," Deseret News, 25 December 1852, . Hammond, Francis Asbury, Journal, vol. 8, in Journals 1852-1857; 1864-1867; 1883-1893. Harper, Charles Alfred, Diary, 1847 Apr.-Aug.
Jackman, Levi, Journal 1847 March-1849 April, 35-59. Journal History of The Church of Jesus Christ of Latter-day Saints, Supplement after 31 December 1848, 17. "Journal and Diary of Albert King Thurber," in Treasures of Pioneer History, 6 vols. [1952-57], 3:283-288. Keeler, James, Journals, 1850-1859; 1876-1890, vol. 4. Lyman, Amasa, “Remarks,” Deseret News , 24 June 1857, 123. Lyman, Amasa Mason, Diary, reel 1, vol. 16, 1-20, in Amasa Mason Lyman, Collection 1832-1877. Lyman, Amasa Mason, Diary, reel 3, vol. 32, 16-25 Nov. 1852, in Amasa Mason Lyman, Collection 1832-1877. Lyman, Amasa Mason, Journal, vol. 15, box 1, fd. 8, in Amasa Mason Lyman, Collection 1832-1877. Lyman, Amasa and Charles C. Rich, "Copy of a Letter Written to the Saints in San Bernardino, California, by Amasa Lyman and Charles C. Rich," Deseret News , 8 Jan. 1853, . Moon, Hugh, The book of the life of Hugh Moon, 4. Murdock, John, Autobiography [n.d.], 104, 108-9. Murdock, John, Journal [ca. 1830-1859], 201-4. Richards, Willard, to Brigham Young and Heber C. Kimball, 10 Sept. 1848, in Brigham Young, Office Files 1832-1878, reel 55, box 41, fd. 28. Ridges, Adelade Whiteley, Autobiographical sketch 1893, 3-4. Robinson, Joseph Lee, Autobiography and journals 1883-1892, [manuscript:] vol. 1, 60, 66-67. Rollins, James Henry, Reminiscences 1896; 1898, 29-31. Rollins, James Henry, Reminiscences 1896; 1898, 42-43. Snow, Erastus, Journal 1835-1851; 1856-1857, vol. 4, 3-91. Tippets, John Harvey, Autobiography [ca. 1882], 99-113.